This is the largest ski resort in the southern hemisphere (120 km/75 miles of slopes across a 600-hectare surface) with a huge infrastructure for practicing winter sports. 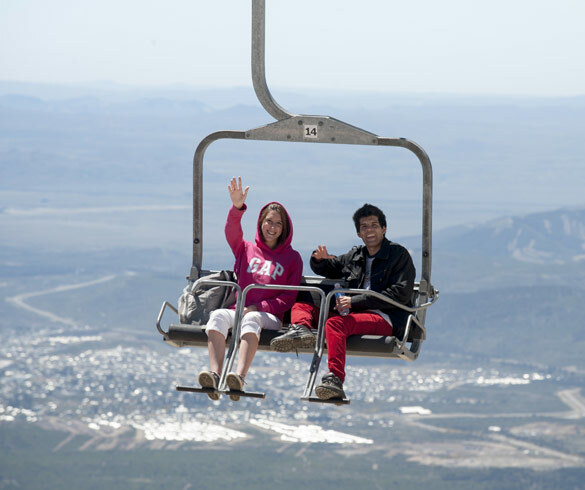 It's open all year round and has 34 lifts (including chairlifts, cable cars and rope tows) that transport 36,000 people an hour. Once you reach the top, you can enjoy the amazing centers located on the mountain's stunning slopes, with outstanding views of Nahuel Huapi and Gutiérrez lakes, the Andes, Mount Tronador and all other nearby mountains. There's all kinds of accommodation available, a wide range of food options to choose from and several shops. In winter, you'll find everything you need to ski and snowboard, from rental equipment to schools that teach all levels. Asphalt road. 40 km (25 miles) from downtown Bariloche (round-trip) and 25 km (15 miles) from the Llao Llao hotel. From 3 to 4 hours if you travel with a tour booked at an authorized travel agency. If you go on your own it may take all day, depending on the activities you choose. All year round, but during the off-season in winter lifts are only available some days of the week. Check days and times with your travel agency or at tourist offices. The base of Mount Catedral is about 1,000 meters (3280 feet) above sea level. 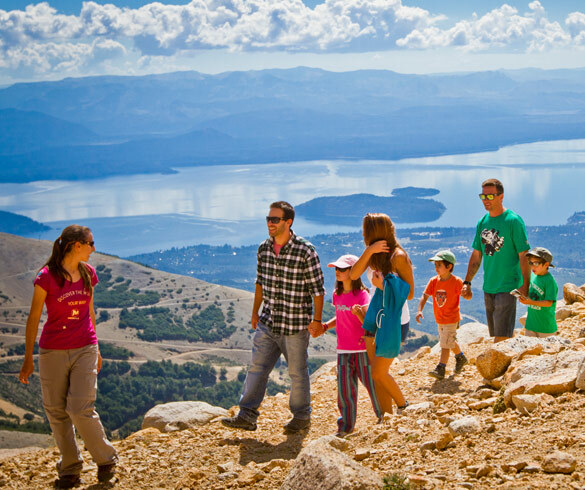 It’s relatively easy to trek and lifts will take you up to about 2,000 meters (6560 feet) above sea level. You will explore a portion of the mount that can only be accessed with all-terrain vehicles. A new way to discover Mount Catedral. The journey starts at the base of the mount. Using snow bikes, you will follow a road full of lengas to reach 1,400 meters high, where the warmth of La Cueva, located in a huge mountain rock, will be waiting for you. In La Cueva, you may enjoy authentic Patagonian flavors, and a unique experience surrounding by unforgettable landscapes.